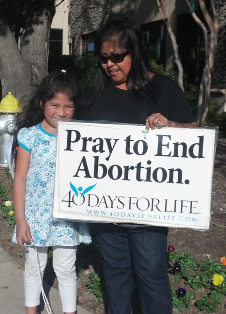 Thanks to the devotion of thousands, Dallas was once again the largest 40 Days for Life prayer vigil in the world! The Dallas faithful have taken up the mantle as citizens of the city where Roe began and sent a message to the world that the precious unborn have a voice here! It was voices whispered in prayers, joined in unison with fellow brothers and sisters in Christ, and even raised in song, that made the difference. God heard our voices and responded! During these 40 days of worldwide prayer, God’s grace poured down, and a record number of lives were saved. Internationally, 821 little hearts went on beating. Here in Dallas, 36 lives were saved outside the Southwestern late-term abortion center as abortion-bound mothers felt the power of the prayers covering the facility and the love of counselors offering hope in place of despair. But that’s not all! Due to the “halo effect” of 960 hours of constant prayer for life, 101 more mothers turned away outside the other 4 abortion centers in Dallas, bringing the total to a record 137 lives spared during the 40 Days for Life-Dallas vigil (22 more than last year)! 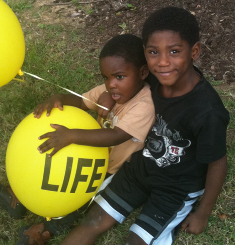 On behalf of the beautiful children saved from certain death, and the mothers and fathers saved from the pain of abortion, we say “Thank You” to everyone who took to the sidewalk, prayed from home or in their churches. Thank you for your never-wavering commitment to His precious little ones! Every year we reach out to help an average of more than two mothers each day to choose life instead of abortion – 869 chose life in 2012! You may make a donation online at www.prolifedallas.org/donations. Life Matters is a publication of the Catholic Pro-Life Committee of North Texas, the Respect Life Ministry of the Diocese of Dallas.